I was recently contacted by the marketing manager of the Charles Worthington Hair Salons in London. 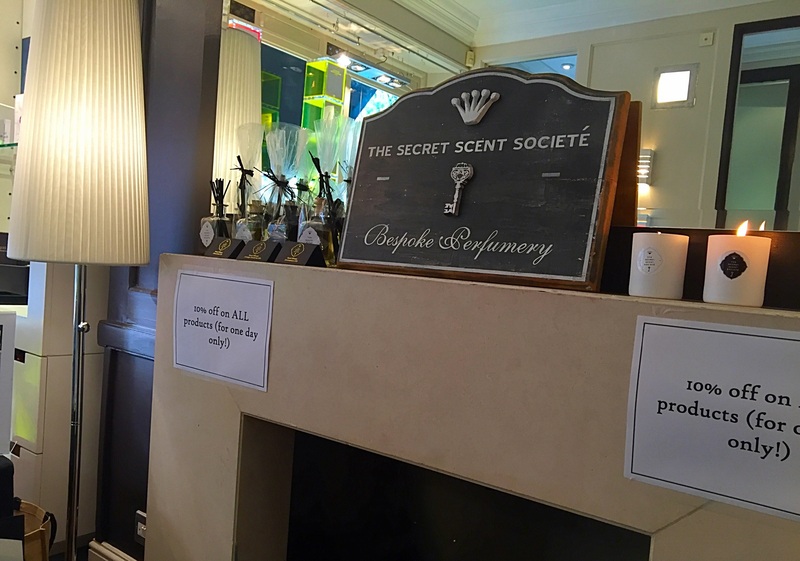 She had seen my products online and thought that The Secret Scent Societe’ would be a good fit for the intimate client event they were organise at their flagship store in Fitzrovia. Charles Worthington himself was going to be opening the evening and along with myself they had also invited a personal shopper from Reiss and the celebrity make-up artist Ariane Poole who would be doing a live makeup demonstration on the night. Charles personally going to be introducing me and I was going to be given an area where I could set up my products to sell. 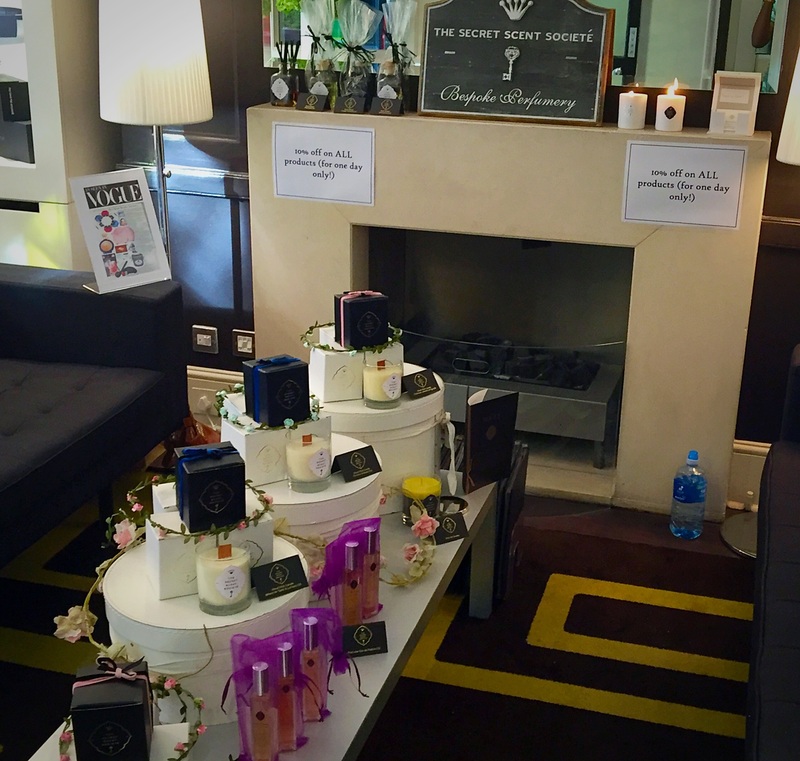 It wasn’t a huge area but ~I figured that as it was such an intimate event for their most loyal customers I wouldn’t need to bring that much stock with me anyway plus I had a beautiful stone mantelpiece that I could use to display my reed diffusers. They were giving out goody bags to all of the guests so I was asked if I could contribute towards it, so I made up some Coconut & Soy wax travel Candle samples for them to include. She knew about my feature in VOGUE which she was eager for me to highlight so I designed and made some displays featuring my article. 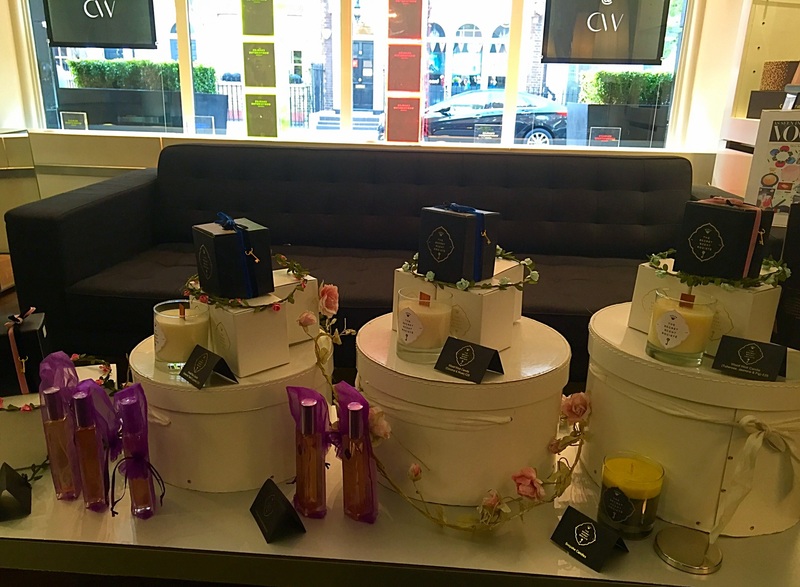 I took along with me 4 kinds of Wood Wick Candles, my Massage Candles, 3 of my Luxury Candles, Hair Perfume, Eau de Parfum and Reed Diffusers. The evening was a very relaxed and well organised affair, with demonstrations by both Ariane, a senior hair stylist showing the newest GHD’s, and a personal shopper from Reiss, with lots of canapés and champagne! It was a fun, interesting and successful evening. 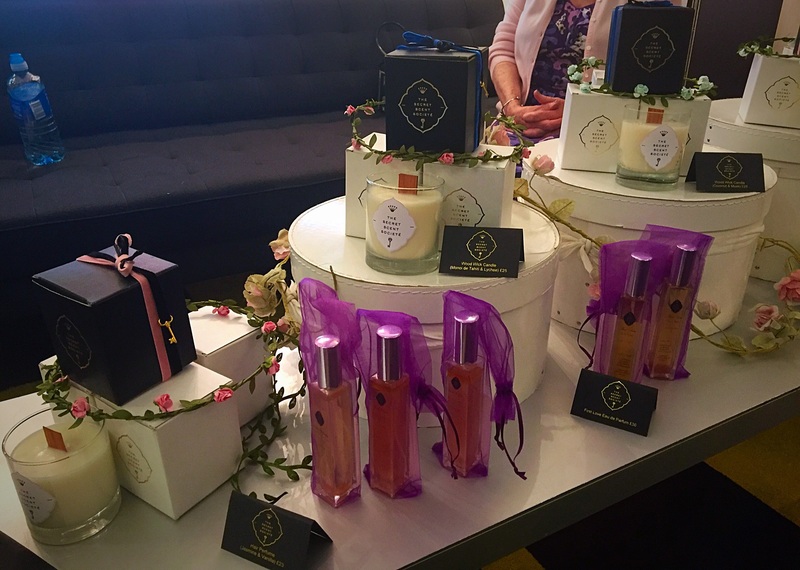 People were very complimentary about my products and brand, and I made some sales (2 of which were candles that are going to be used in the lady’s summer wedding!). I also took the opportunity to promote my new Bespoke Candle Service also, which is a service I’m now offering that includes a completely bespoke scent, and customised options (such as container type and colour choices) for candles. That seemed to really go down very well as I had a lot of people enquiring about this service. 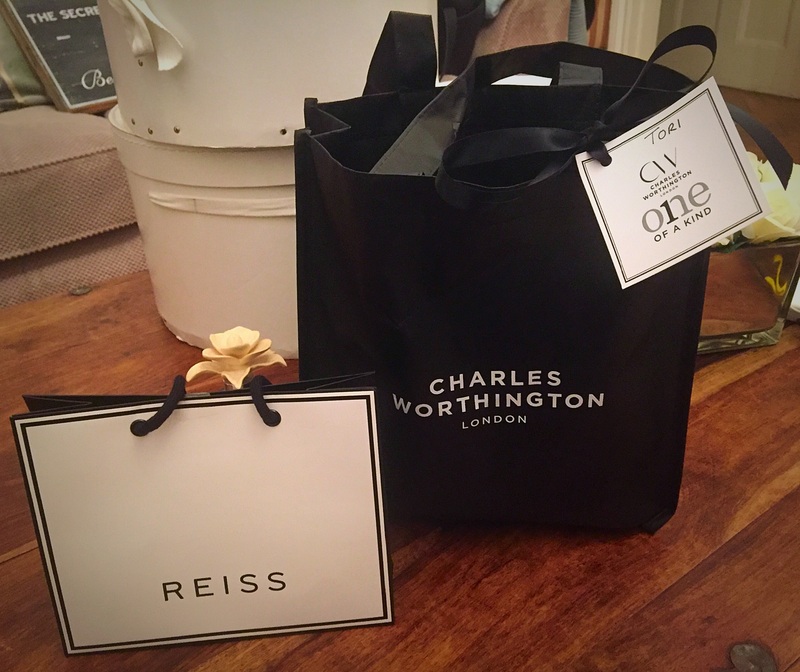 Afterwards, I was presented with some goody bags of my own which I was chuffed to bits with: One was a bag filled with full sized Charles Worthington products, and the other one was from Reiss: A gorgeous gold and leather wrist band. Even though I was technically there to work, I found the whole experience very enjoyable and not at all like work. I loved talking to people to hear what they liked or didn’t like. Which were their favourite products and what they would like to see in the future. I found the whole experience really invaluable. Plus the staff at Charles Worthington seemed to really like the products too. I got talking to this lovely older lady, who had been going to Charles Worthington for 12 years (she did infact have very lovely hair), and after hearing that one of her favourite hair stylists wanted to get a bespoke candle made for his wedding in September, she generously offered to buy it for him as a wedding gift. Very sweet!